There's plenty do digest from the Samsung Unpacked 2018 event which took place yesterday evening, including a new phone, a new smartwatch and a new smart speaker. We've got other important tech updates too, all courtesy of our friends at TechRadar. Samsung's Unpacked 2018 certainly lived up to the hype, with the tech giant launching the Galaxy Note 9 smartphone, a Galaxy Watch wearable, and a Galaxy Home smart speaker – it even threw in some upgrades to Bixby for good measure. Follow the link below to catch up on everything that happened at the event, via the live blog run over at TechRadar. Few games are as hotly anticipated as Rockstar's Red Dead Redemption 2 right now, and we now have our first official gameplay trailer – and a whole six minutes long at that. Find out how some of the game mechanics are going to work, gaze at the fantastic open world views, and learn a few snippets of the storyline by clicking through on the link below. At the same Samsung Unpacked 2018 event we've already highlighted above, Epic Games appeared on stage to announce the arrival of Fortnite for Android, though not everyone can have a go yet. The title is going to be exclusive to a handful of Samsung devices, including the Note 9, for an unspecified number of days – after which anyone can sign up. 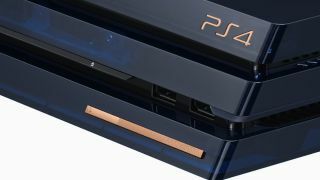 Sticking with gaming, Sony has revealed a limited-edition, specially designed PlayStation 4 Pro console to mark passing 500 million sales worldwide. The "500 Million Limited Edition" is out on the 24th of August and looks like a gorgeous bit of kit from the photos we've seen – only 50,000 of the £449.99/$499.99 consoles are getting made, so act fast. One of the beauties of a smart speaker is that features can be added in the cloud by the manufacturer, with no effort required on your part – and Sonos has announced that the Sonos Beam and the Sonos One now fully support the Amazon Announcements feature, which lets you get Alexa to make an announcement across all the speakers in your home.